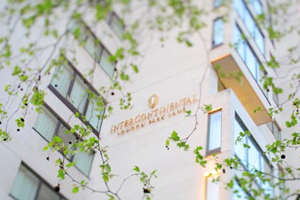 Intercontinental London Park has appointed Fiona McGrory as business development manager targeting MICE visitors from the US. McGrory will be responsible for growing existing accounts and bringing in new ones. She was most recently an executive assistant at agency Why Not UK. Her CV has also seen her work as senior sales manager at the Grosvenor House. Michael Green, Intercontinental Hotels London’s area sales director, said: "Fiona has an impressive pedigree that spans the hotel industry and MICE in the US and Europe. "This experience helps to strengthen the knowledge and specialties of our sales team, and helps to address a wider range of client needs."